Do you find yourself asking “Why is it my dog will only eat cat food?” Do you pull your hair out when you see the cat’s dish is empty despite there being no cat in sight? Just your dog’s guilty puppy dog eyes? Compared to dog food, cat food contains a lot more proteins and fats that dogs can’t help but find irresistible. 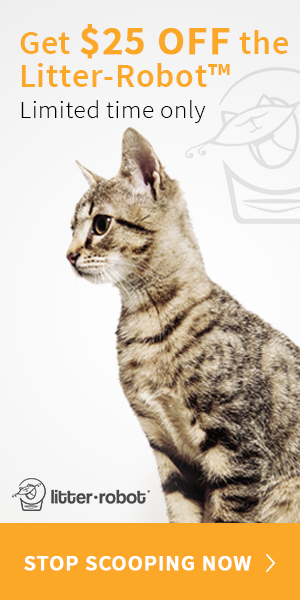 A cat’s body is designed to live a very nimble lifestyle and needs more energy to support their quick reflexes. However, problems arise when our canine companions start eating the high energy diet of their feline friends on the daily. Eating cat food for dogs can lead to serious health problems including weight gain, diarrhea, and even kidney damage. Imagine cat food is to dogs what deep fried donuts is to us. In other words, it’s okay to have here and there but everyday becomes a problem. On top of this, your cat is left without a meal and malnourished. If your cat is sick of having it’s food stolen, here are some tips to prevent your dog from gobbling up its kibble. Cats are a lot more mobile than dogs are and can easily reach places dogs cannot. Take advantage of this by putting the cat food in high places where your dog can’t climb like a high cat post, washing machines, shelves, tables, window ledges, etc. This method will also force your cat to exercise. You could also block off areas of the house from your dog by using a gate. Cats can easily jump over these gates while dogs cannot. If your dog is large, try setting the gate slightly off the ground for the cat to easily go under. You might also consider creating a “cat room” where you can put the kitty litter, cat toys, water and food. Having a designated space for your cat makes it easier to keep the dog away from the cat food. It’s a bonus if your cat and dog don’t get along. Leaving the cat food out all day leaves it vulnerable to your dog’s insatiable hunger. Instead of having your cat free graze, try feeding your cat at very specific times of the day. This way, the cat food won’t be out all day and eating time becomes something your cat can look forward to. You also have more control over how much they eat, preventing your cat from overeating. When your cat finishes eating, take their dish away immediately including any food left over. This lets your cat know that the food won’t be available at all times. Always be sure to feed them within 30 minutes or so of your chosen feeding time so it becomes a routine for them. If you feed wet cat food as opposed to dry, your cat will finish their food much faster in case you don’t want to wait for your cat to finish their food for too long. It tends to be easier to just be able to tell your dog not to eat the cat food. It’s possible through training. You may be tempted to punish your dog when it eats the cat’s bowl but this can be ineffective as it may just encourage them to eat the cat food faster and when you aren’t around. It’s better to use positive reinforcement. Try feeding your cat and dog at the same time and give your dog a treat when it eats from its own bowl. A treat along with enthusiastic praise lets your dog know what it’s doing is good (keep in mind some dogs don’t like being touched when eating so show them praise after they finish eating). It’s also possible your dog will be too distracted eating its own food. It might not even touch the cat’s food in this case. You can also try teaching your dog a “leave it” command. You’ll have to teach your dog that not eating the cat food now, will warrant a better reward in the future. Try starting off with simple treats, for example presenting the treat to your dog in a closed fist and then rewarding your dog with a better treat as soon as the dog stops paying attention to the treat. When you say “leave it” each time, your dog will soon leave the treat alone knowing there will be a better reward later. Always include enthusiastic praise when rewarding. Do this with cat food over time and eventually, your dog won’t eat the cat food when you say “leave it”. This method is hard work but it’s important your dog listens to you for its own sake. You could also try creating a puzzle game where your cat performs certain actions to get its food. For example, take a water bottle and poke holes at the bottom. When you fill the bottle with kibble, the only way to get the food out is by having the cat swat at it. This is something a dog might have difficulty figuring out. However, it may be easier to use an automatic food dispenser. How it works is the dispenser filled with food will stay closed. Until an electronic tag in your cat’s collar unlocks the dispenser. When the cat goes to the dispenser, the dispenser will unlock and dish out a portion of food. As soon as the cat leaves, the dispenser will lock again. These automatic dispensers can be pretty pricey but offer an easy solution to your dog problem. Be wary as your dog could pick on your cat and take its food when activating the dispenser. Some of us are cat people, some of us are dog people. But those who have enough love for both have to face this unique conundrum. As long as you remember to take advantage of your cat’s mobility and size, while keeping your dog in check, your pets will be able to live healthily and harmoniously.